OSWEGO – Oswego Hospital welcomes Adaora Udekwu, MD, to its active medical staff and to the hospitalist team. As a hospitalist, Dr. Udekwu will care for inpatients at Oswego Hospital, whose primary care physicians have opted to take advantage of the healthcare facility’s hospitalist program. A hospitalist is available 24 hours a day to coordinate a patient’s plan of care. Members of the hospitalist team are very familiar with the other hospital departments and can arrange for any required tests or assessments. In addition, the hospitalists consult with a patient’s primary care physicians to learn their health history and to talk about the details of the plan of care upon discharge. The program is also of benefit to a patient’s family members, as a team member is available answer questions and address concerns. 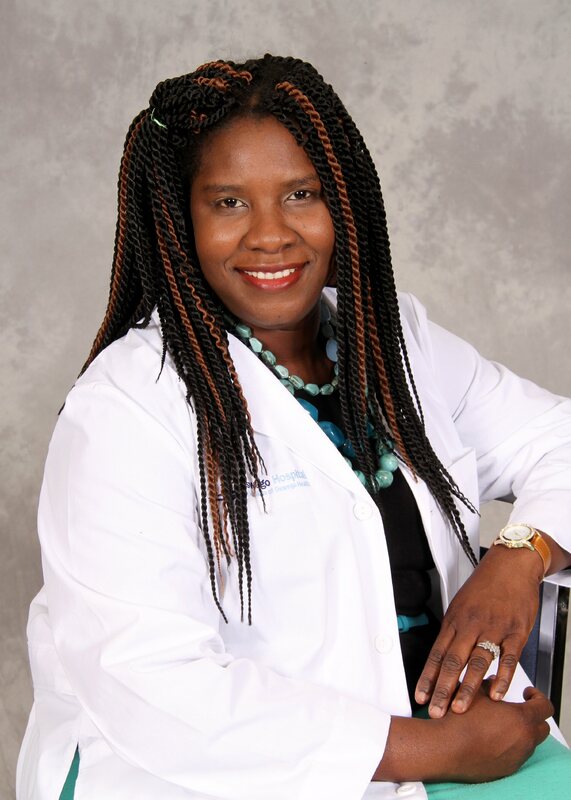 Dr. Udekwu recently completed her family medicine residency at the University of Arkansas Medical Sciences, located in Fayetteville, Ark. She earned her medical degree from Sint Eustatius School of Medicine, located in Antilles. Dr. Udekwu said she was looking forward to working as an Oswego Hospital hospitalist. The new hospitalist originally began her healthcare career as a registered nurse. Before earning her medical degree, Dr. Udekwu obtained her Bachelors of Science in Nursing from Salisbury University, located in Maryland. She worked as a nurse after earning her BSN degree and while she completed her medical training. “I am really glad I had that experience because it gave me an understanding of the nursing side of healthcare and also the importance of possessing an excellent bedside manner,” she said. Throughout her training and healthcare career, Dr. Udekwu has been an active volunteer and participant in community and college organizations. For these efforts she received various awards and accolades. Dr. Udekwu and her husband, a neurosurgeon, have three children. In her spare time, she enjoys writing poetry, listening to music and dancing, along with reading and traveling.